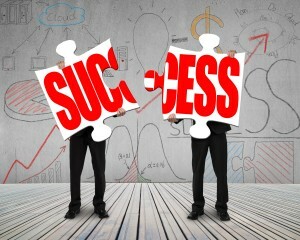 How Often Are M&A Events Deemed A Success? Home > M&A > How Often Are M&A Events Deemed A Success? With its fifth enterprise-focused acquisition since 2011, the Milpitas company known for selling memory cards to consumers and gadget manufacturers is officially “a one-stop shop” for enterprise customers as well, CEO Sanjay Mehrotra said Monday, which he believes will boost the company and demand for its products. “I believe it will make the market grow faster and certainly accelerate SanDisk’s leadership position in enterprise storage.” Mehrotra said in an interview with this newspaper.? Are these forward-looking statements hyperbole? For too many mergers, the zeal ends not long after an M&A deal is struck. Having suffered losses in the previous 5 quarters, Fusion-IO is wounded. Its depressed stock price made it an attractive acquisition but only if SanDisk can fix the Fusion-IO and position it to be accretive. How will leadership ensure Fusion-IO isn’t a drag on earnings? Hope is not a strategy. Group50 has a track record of accelerating the time to value for mergers and acquisitions. We’d love to speak with you about how to achieve a better, faster result and help your company thrive. Give us a call at (909) 949-9083, email us at info@group50.comor request more information here to find out how Group50 can help your M&A activities thrive. David J. Gardner has over 30 years’ experience in the design and integration of innovative business process and information technology solutions for “start-up” through Fortune 50 companies. David has extensive experience helping companies implement mass customization (build-to-order, assemble-to-order and engineer-to-order), configuration and operations strategies and information technology integration. He has held management positions in Engineering, Manufacturing, Sales, Marketing, and Customer Service, Product Management and consulting.